Playa del Carmen Webcam - See Playa Live! See the beauty for yourself! Our live, streaming webcam from a premier spot in Playa del Carmen. The Official Webcam is courtesy of Condo Hotels Playa del Carmen. The view is from El Taj. 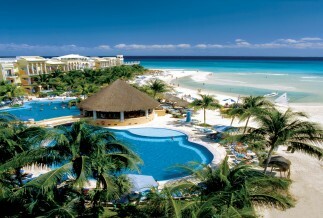 For a mix of fun and sun in the Caribbean, Playa del Carmen has become a premier vacation spot. To catch the gorgeous views of the white, sandy beaches and turquoise water, check out our live streaming webcam. 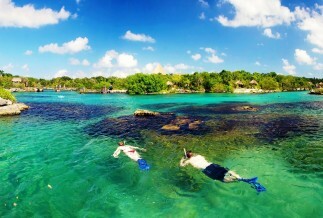 Playa del Carmen, a popular beach vacation spot in Mexico, is just a short drive from Cancun. The webcam from Condo Hotels Playa del Carmen shows potential vacationers just how stunning the area is. Before booking a vacation at one of the Playa del Carmen beach hotels, future guests want to get an idea of where they'll be staying. 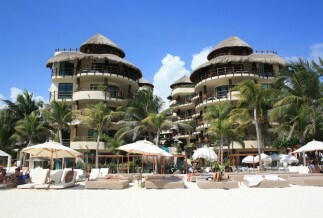 Playa del Carmen features the famous Fifth Avenue known for its shopping, dining, and nightlife. Explore the ancient Mayan ruins or the jungle at Aktun Chen while in Playa del Carmen. The webcam only offers a glimpse of the beauty and views vacationers will relish in. Even though you can view the tropical paradise from the webcam, Playa del Carmen is worth experiencing in person. Book a trip today!